What a treat to sit down with Mother of two and eternal seeker of sunshine, Suzie Carpenter. In this episode, we talk about Autism, nutrition that feeds our soul and fuels our life, and how to learn from the challenging times without becoming a victim. 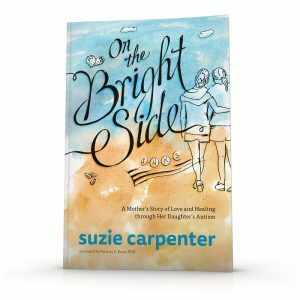 Suzie recently wrote the book On The Bright Side, a Mother’s Story to love and healing through her Daughter’s Autism. A memoir detailing her story and struggles around helping her incredible daughter who was diagnosed with Autism at the age of four. As Suzie helped Kelly become the healthiest that she could be, she also began her own journey to healing. Suzie shares that it was her daughter who became her biggest teacher and with the love and support of her family, chose to seek alternative treatments to the traditional therapies originally offered. We can all learn so much from the wisdom of “Kelly”. The way she sees everyone as equal and through the lens of their energy versus their education. Her ability to live and flourish in the present moment is a skillset we could all use to nurture and grow. 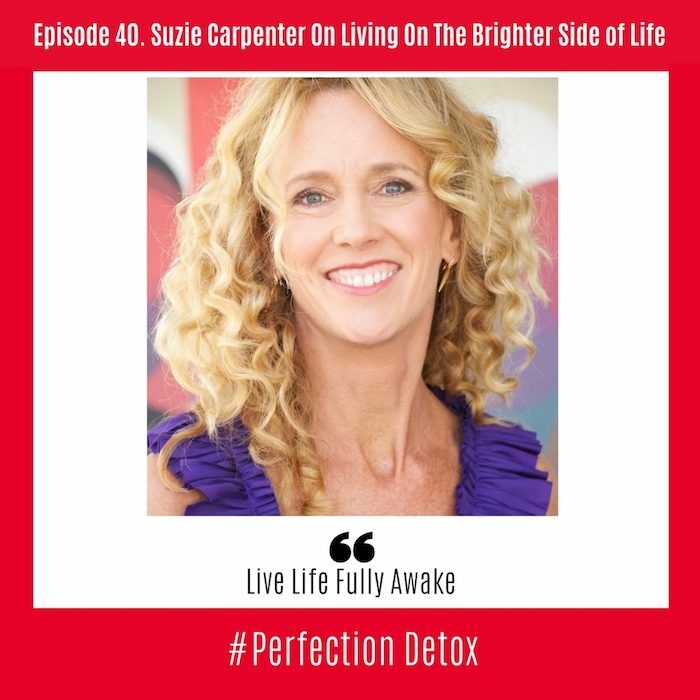 Whether you have a child with special needs or not, you will be sure to gain many nuggets of wisdom that Suzie Carpenter shares in this episode. Suzie Carpenter’s mission is to love the world back to health. She is a pioneer in the clean eating movement and focuses her work on how to help people harm themselves less with food. Suzie’s workshops are sought after by companies who want to inspire and motivate employees to embrace a healthier lifestyle. She also teaches cooking classes, runs detoxes, and offers health coaching to individuals and families. In December of 2016, Suzie published her first book, On The Bright Side: A Mother’s Story of Love and Healing Through Her Daughter’s Autism, which quickly became an Amazon Best Seller.